From leaves falling and becoming fertilizer to raindrops bringing plants to life in the spring, the cycle of every season has something to enjoy. While delighting in all nature offers, we need to remember to respect and treasure the world around us. This sweet rhyming story follows the change in seasons and illustrates how we can all be stewards of the Earth. 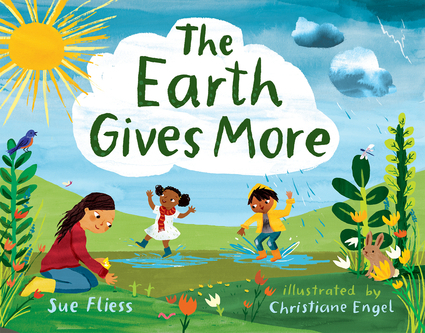 Sue Fliess is the author of numerous books for children, including A Fairy Friend,Shoes for Me!,Calling All Cars, and Mary Had a Little Lab. She lives with her family in Virginia. Christiane Engel is an award-winning illustrator and published author. She currently lives in the United Kingdom.